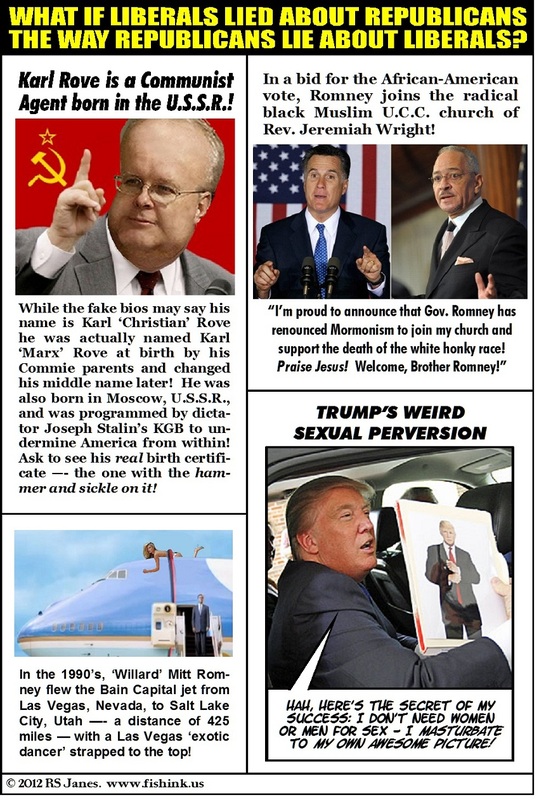 This entry was posted in 2012 Election, Conservatives, Humor, Idiots, Politics, Religion, Republicans, Romney, Teabaggers, Wingnuts and tagged 2012 Election, Bain Capital, Cartoon, Collagatorial, Commies, Donald Trump, Karl Rove, KGB, Liberals, Mitt Romney, Republican Idiots, Rev. Jeremiah Wright, Right-Wing Propaganda, RS Janes, Stalin. Bookmark the permalink.